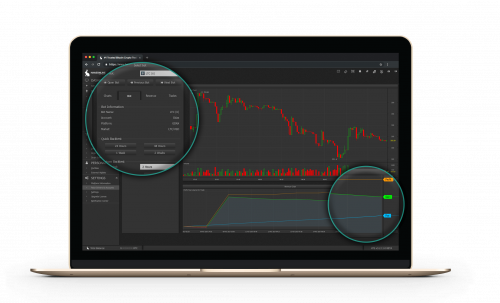 Fully automate your bitcoin and altcoin trading on major exchanges while using our highly configurable crypto trading bots. 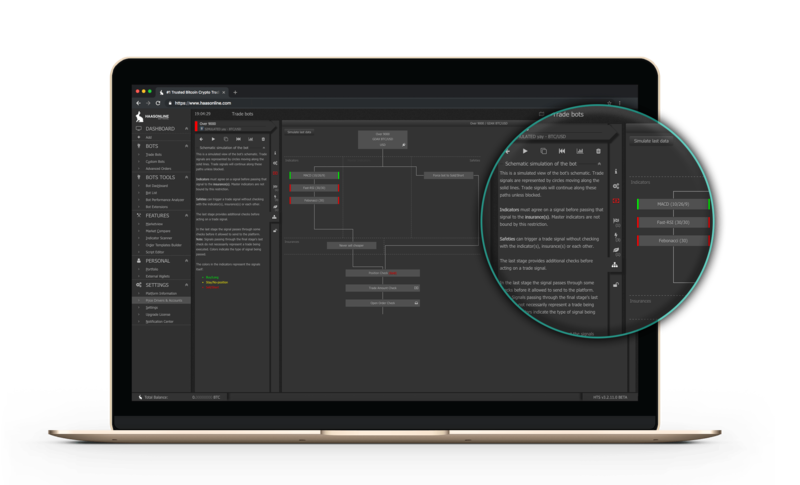 Automate your trade strategy and get back to living life. Minimize downtime by trading in your sleep, without losing sleep, when you leverage our large selection of crypto trading bots. Utilizing multiple exchanges allows your crypto trading bots to keep bitcoin trades going even when your main exchange goes down. Arbitrage anyone? 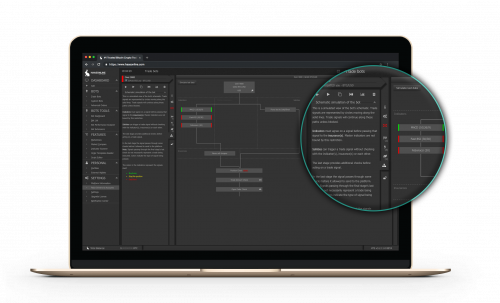 Customizable dashboards enable you to create your ideal command center. 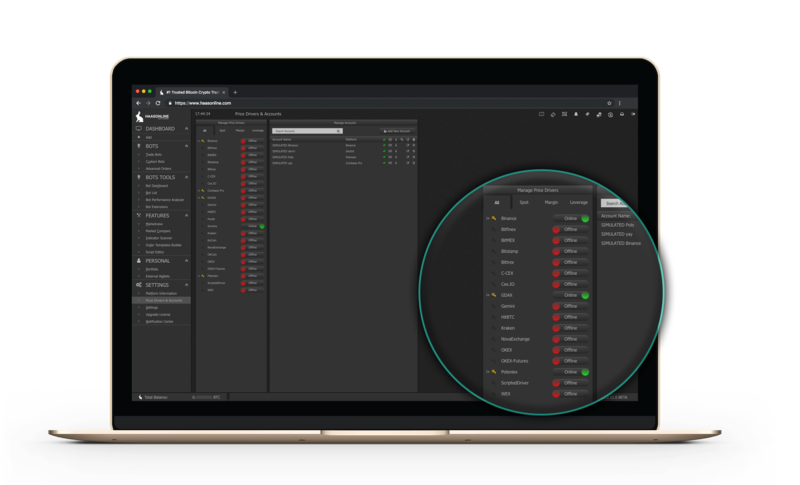 Configure your dashboard to keep track of your crypto trading bots and start trading like a professional today. Want to configure a Bitcoin trade bot to buy with one indicator, sell with different indicator, make sure trades cover fees, and protect your investment from market crashes? You can do that and much more with our HaasBots! 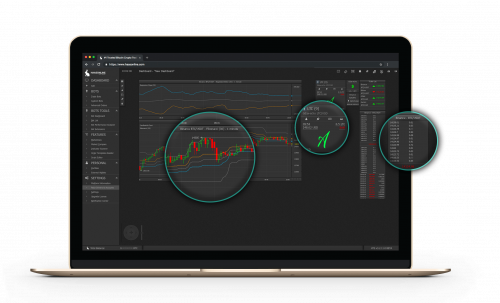 Conduct technical analysis, execute manual trades, and watch multiple markets all from our market view. 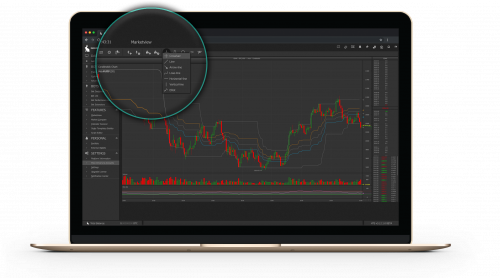 Combine your trade strategy with our HaasBots to see why we are the leading bitcoin trade platform! 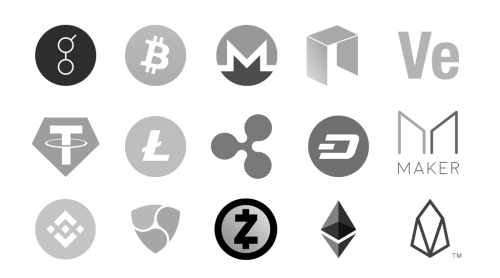 Our crypto trading bots aren't only for bitcoin, they can trade any crypto altcoin pair that your authorized exchanges support. 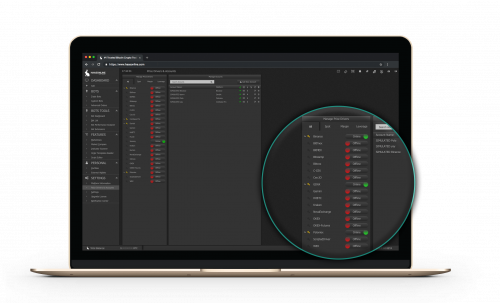 Haas Trade Server has no restrictions on the number of altcoin pairs you can trade with.